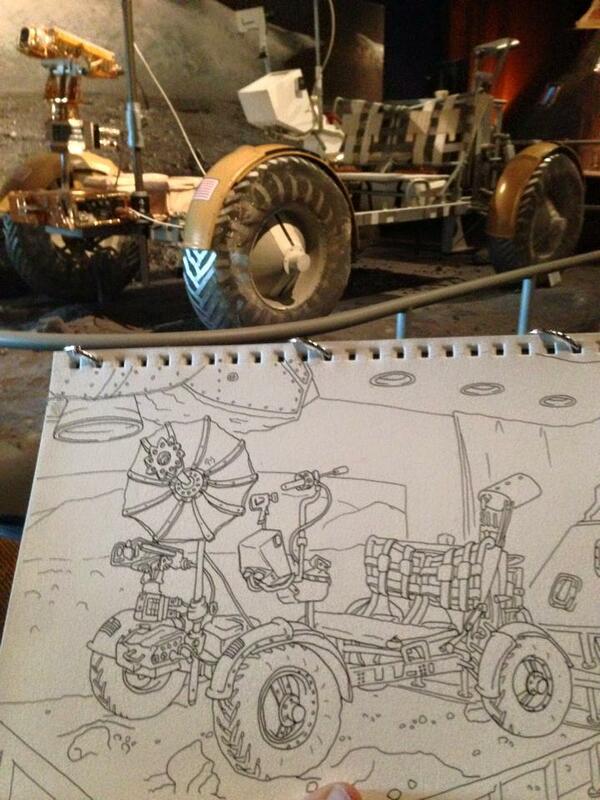 Sat in the darkened room with the landing simulator games and drew the lines of this Rover while listening to the audio loop: "We got some guys turning blue, thanks for restoring the oxygen. We got some guys turning blue, thanks for restoring the oxygen. We got-" and so on. The guard watched me and said, "I draw, but I never show anybody." I convinced him to show me his drawings on his phone, and they were beautiful detailed urban sketches in pen and ink! I hope he follows through on his promise to look us up. 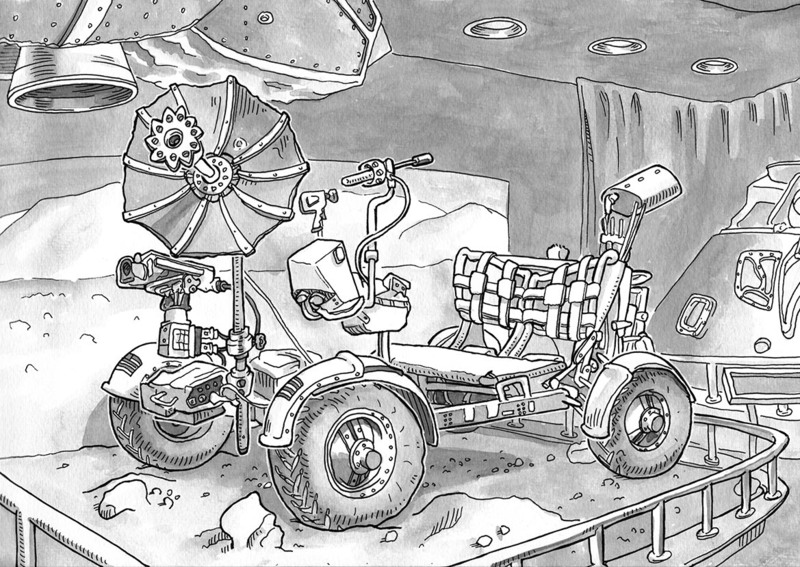 I finished the ink wash afterwards from the trophy photo at left.